Photo: Hoquiams Castle, ca. 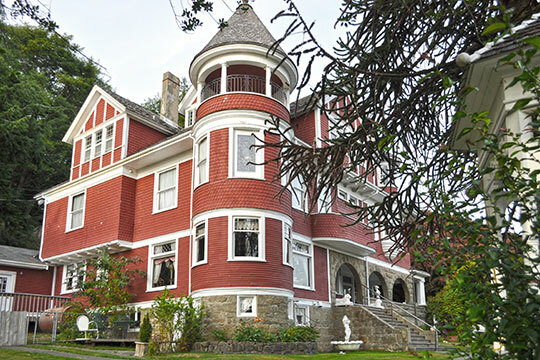 1897, 515 Chenault Avenue, Hoquiam, WA. Listed on the National Register of Historic Places in 1973. Photographed by Joe Mabel (own work), 2009, [cc-by-3.0 (creativecommons.org/licenses/by/3.0)], via Wikimedia Commons, accessed August, 2015. Grays County administrative offices are located at 1-2 West Broadway, Montesano, WA 98563; phone: 360-249-3842. Originally known as Chehalis County when created in 1854 (from part of Thurston County), the name was changed to Grays Harbor in 1915.